There’s no easy way to find the best gaming chair out there. This becomes even harder when you are limited to a 200 dollar budget. Most of the high end gaming chairs out there will cost you twice your budget here, but that doesn’t mean there’s not a well-crafted gaming chair out there for you. Maybe your price range is a little lower than 200 dollars. 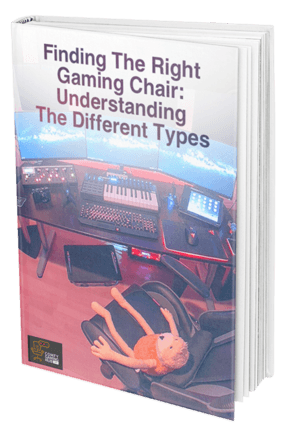 For the purpose of this buyer's guide we have compiled 8 of the best gaming chairs under 200 dollars and noteworthy chairs over 200$. Posture - Your back gets strained when it slouched over all day. This is exacerbated whilst playing video games for hours in a day. A good gaming chair will aim to help you sink right into a posture improving position. Performance - Many of these chairs are modeled after racing seats for a reason. These chairs are intended for you to have maximum comfort while at the same time having maximum focus. You want to be at your best self while you are gaming as to avoid frustrations. Trust me, we’ve all been there. Even professional gamers endorse gaming chairs. You will likely see a high end gaming chair in their homes. But maybe you’re not a professional gamer. You’re just a gamer looking for the best gaming chair under 200 dollars. If that’s the case we will start with the cheapest chair and move on to the more expensive ones. 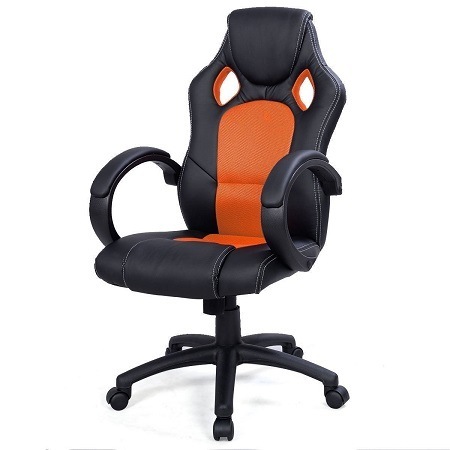 You’re about to bombarded with a wide variety of gaming chairs suited for different people. Before you continue you should ask yourself some questions. How much do you really play? - If the answer is not that much, then you can stay on the cheaper end as perfect posture and support isn’t as important for you. If you regularly play for 8 hours more, than a big investment will be all too worth it down the road. Who is it for? - Is it for you or a friend? If it’s for a child, then you can get one of the smaller chairs. If it’s for you and you’re larger, than you’ll need to get one with a wide back. If you are a small person, then you might need a narrower chair with a lower head cushion. ​PC or Console Gaming? 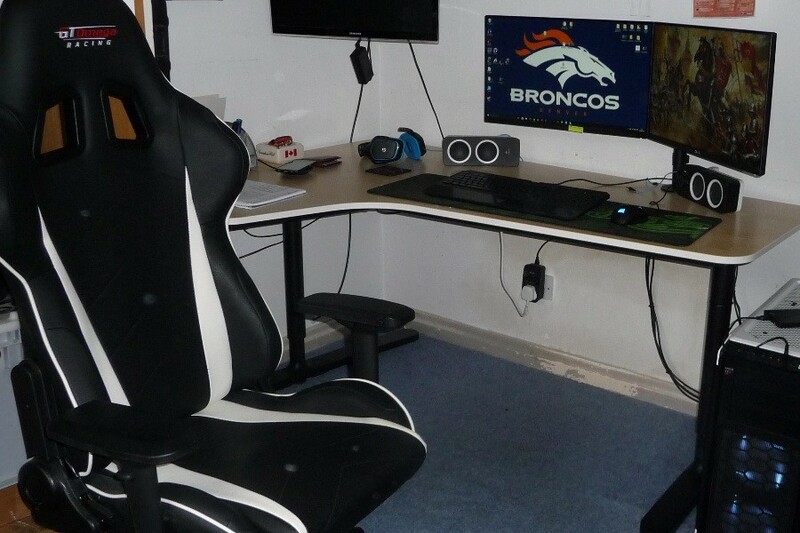 - If you play pc games exclusively, you need an office chair. If you play only console games and want a chair up front next to the TV, you can have some fun with a bean bag or even a rocker. What is my budget? - This last starts at about 30 dollar chairs and goes up to 200 dollar chairs. Know how much you are willing to spend before hand. These chairs usually go up in price based off of material and frame quality. The designs are generally similar across price range, but what will change is the actual material. You will get what you pay for here so make sure you know your budget beforehand. 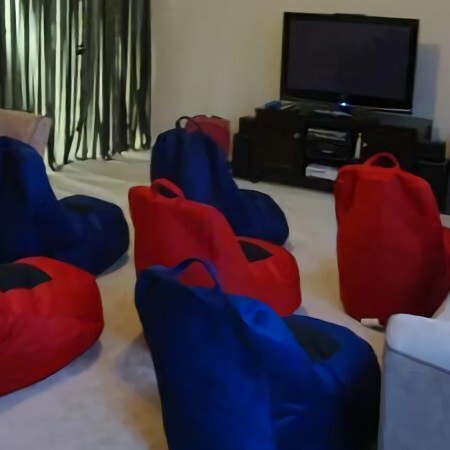 We are going to start out with the traditional bean bag gaming chair. 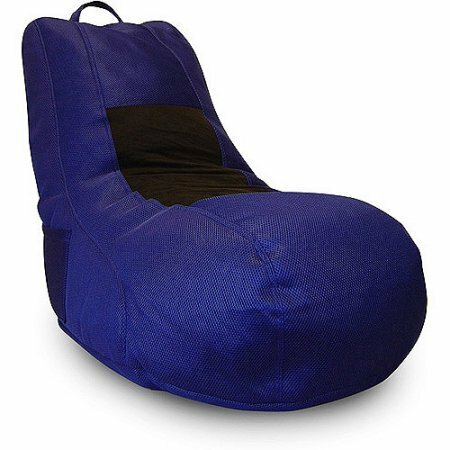 If your budget is around 30 dollars then the Ace Bayou Mesh Video Gaming bean bag is for you. It’s certainly not the greatest of all chairs, but for 30 dollars makes a great posture. It has a high density of beans in the chair which gives it some element of support. This isn’t the chair to fix your posture, but it’s a fun chair anyhow. It has a breathable material which allows you to stay seated for longer periods of time. If you already have a gaming chair, the bean bag makes for a cheap companion seat. 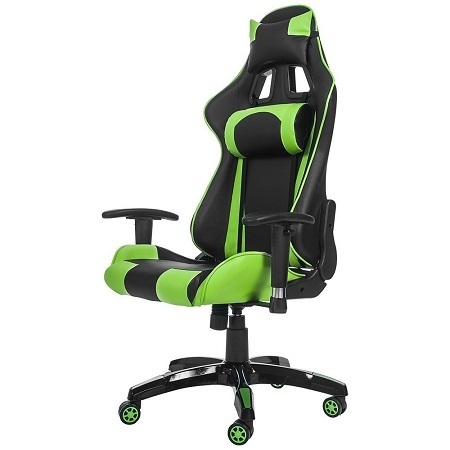 As we ascend the price scale looking for the best chairs for gaming under 200 dollars, you will notice that as the price increases so does the level of support. This is quite standard in the industry as support comes from nicer materials and construction. The Cohesion XP 2.1 Gaming Chair With Audio is for you if you’re not willing to spend more than 50 dollars. What I will mention up front is that if you are a larger individual, this may not be the best chair for you. It’s really meant for smaller people and children. But if you are about an average sized person, you will find some fun with the cohesion. It’s lightweight and portable. You can actually fold it in half and throw the chair in storage. It’s in a nice L shape that allows you to rock back and forth on the ground. Though it’s a little hard to get in and out of, it has two integrated speakers. These are fun. They are easily controlled with the easy to use control panel on the side of the chair. If you want something fun that you don’t intend to put a bunch of miles on, the cohesion could be the best cheap gaming chair for you. The Giantex will cost you just under 100 dollars at around 80 bucks. 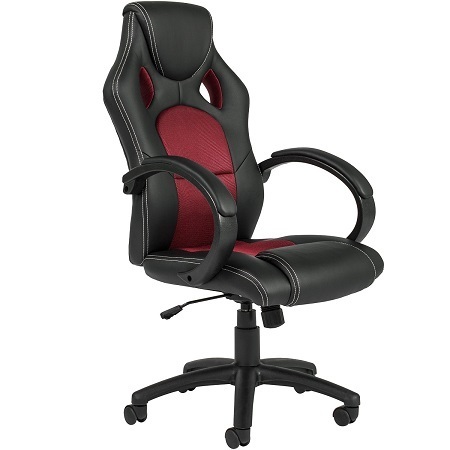 It is one of the most simple and basic executive office gaming chairs you will find. If you want a new desk chair that doubles as a gaming chair but don’t want to spend too much than consider investing in the Giantex. The Giantex comes in a wide variety of colors, but lacks many features of your high end gaming chair. To compensate for its lack of adjustability and features, the Giantex focuses on comfort. It comes with a bucket seat that provides extra comfort on long days. The backrest has some ergonomic shaping that is designed to mold around your back. The wheels and frame however are not top tier. If you are playing in a carpeted area, this chair may have some difficulty rolling around. It comes with full swivel capability and adjustable height, making the Giantex a pretty good gaming chair for around 80 bucks. The Best Choice Executive will cost you about 5 bucks more than the Giantex. It’s nearly identical except for a few cosmetic changes. The Best Choice chair looks a little bit nicer, but barely. There’s a good chance you wouldn’t even be able to tell the difference between the two chairs. Best Choice however, has slightly better customer service. It only comes in one color unlike the Giantex, but if you ever have any difficulties with the chair, the company will be more helpful. They are more willing to replace broken chairs and pieces than Giantex. The chair comes with the same features though. It has adjustable height, some ergonomic shaping, swivel capability, and leather padding. But it’s really once you break the 100 dollar barrier that you start to see some pretty good quality chairs. The AmazonBasics will cost you just above 100 dollars at around 110 bucks. This is Amazon’s take on the cheap executive office gaming chair. It’s a little nicer than the Best Choice chair, but is one of the few chairs not explicitly advertised as a gaming chair. Yet it still makes this list because it is a good buy for the money. This is a good office chair by itself. The AmazonBasics is very adjustable where you can adjust the height but also toggle whether you want the chair to rock back and forth or not. Versatility is king when it comes to the best gaming chairs for pc and console gaming. The chair comes in bonded black or brown leather and has PVC upholstery. It’s a little more well put together than the previous chairs. If you don’t like the whole racing feel to most gaming chairs and prefer something more sleek and elegant, The AmazonBasics could be the best gaming chair for you. It also comes with full swivel capability but this chair has better wheels. They will roll silent and do better on carpet. 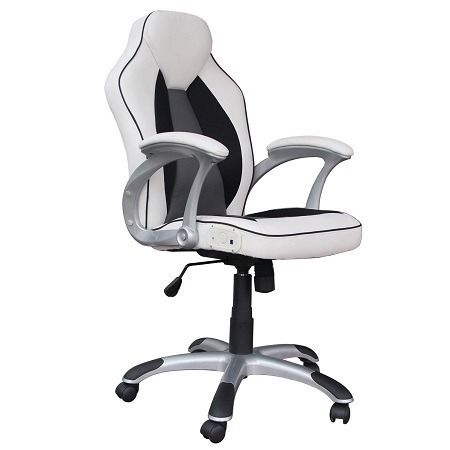 This X Rocker is advertised as an office chair as opposed to a gaming chair. 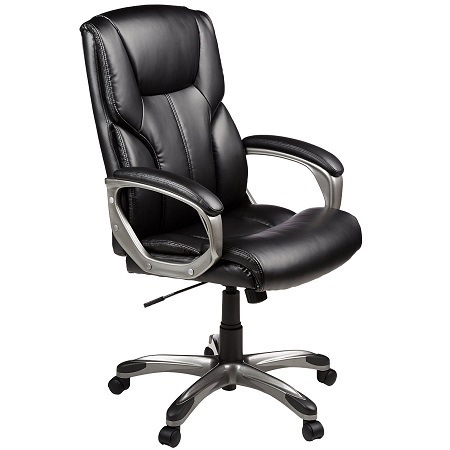 The X Rocker Executive Office Chair with Bluetooth Sound will cost you about 120 dollars. 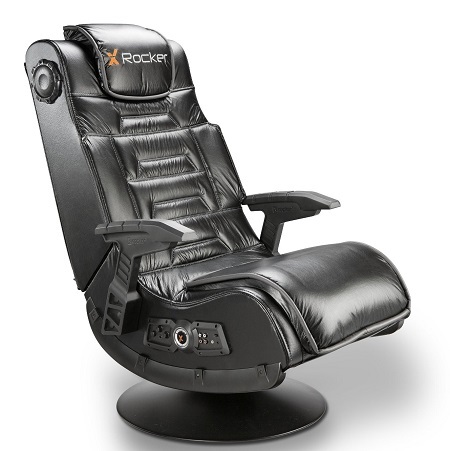 This X Rocker gaming chair may be one of the best deals in this entire guide. It’s a great ergonomic chair. It doesn’t come with a lumbar cushion, but it does have other features to compensate. Most notably, the chair has built in bluetooth speakers. You can connect to them with a cable if need be, but it also is accessible through any bluetooth enabled device. The speakers are good quality and make the chair perfect for the office environment as well. It has a sleek white design that is very appealing to the eye. Overall, it’s one of the nicer looking chairs. While not being as perfect in structure for gaming, the chair offers you versatility. 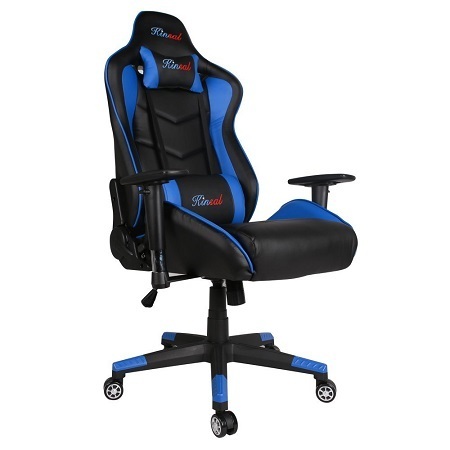 If you are looking for a chair that will double as a work/study chair as well as a gaming chair, but you don’t have the ability to spend more than 120 dollars, this is the perfect chair for you. The Merax is when the chairs start to really take form as gaming chairs. The Fantasy Series will cost you about 150 dollars. Extra lumbar and and head support is standard in high end gaming chairs. The Merax comes with an adjustable lumbar cushion that can slide up and down your spine to find your pressure points. 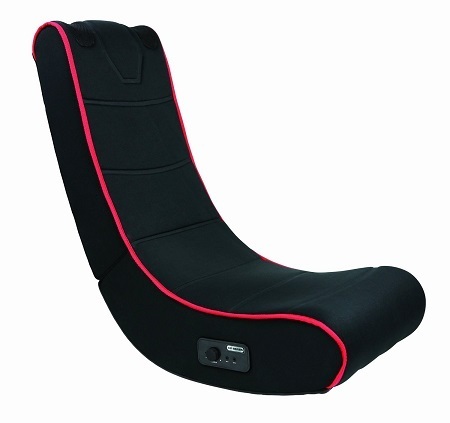 It also has a removeable headrest cushion that is intended to keep your neck relaxed. The chair is much more adjustable than the previous ones. The backrest can recline all the way back to a 180 degree position. You can lock the chair in any position in between. The chair even looks nicer and comes in one of 7 different colors. The armrests are adjustable and even removeable. They can go up and down as well as in and out. The chair has a solid sturdy base that offers you better support and the Merax is well received by the public. If you can up your budget to the 150 area, the Merax is a great buy. It mimics the higher quality chairs in an affordable manner. The Giantex and the Merax above are very similar. The Gintex also offers you 90 to 180 degree backrest locking. It also comes with the standard lumbar cushion which is adjustable down the chair. The headrest cushion is also there. The Giantex does have a slightly better foundation and a little bit higher of a maximum weight. The adjustable armrests go up and down as well as left and right. You can remove them altogether if you like. The chair is also PU leather and fade resistant as well. At around 180 dollars, the Kinsal starts to offer even better support. For an additional 10 dollars you can upgrade to the big & tall version. The big & all version is great. Even if you don’t need the extra room (which people like me definitely do), it gives you added comfort and room. The Kinsal comes packaged nicer than the Giantex and Merax. It has the same support cushions. An adjustable lumbar pillow as well as the headrest cushion, except the Kinsal seems to have a nicer lumbar cushion. It has an ergonomic design based off of racing seats and racing inspired rolling wheels that roll silent. The kinsal offers more support with a tubular steel frame and metal star base. This gives you more long lasting durability than any previous chair could. It has the same swivel capability and the backrest can be locked in at any position from 90 degrees to 180 degrees. The Kinsal is extremely easy to assemble. It only requires 8 screws and can be easily assembled in a matter of minutes. When it comes to executive office gaming chairs, the Kinsal is surely the best under 200. It offers you everything a high end gaming chair would yet at a fraction of the cost. Most chairs with the same support and features of the Kinsal would cost you upwards of 400 dollars. At less than half the price, the Kinsal is more than half as good. Out of all the chairs on this list, if your budget is 200 dollars I would recommend the Kinsal. 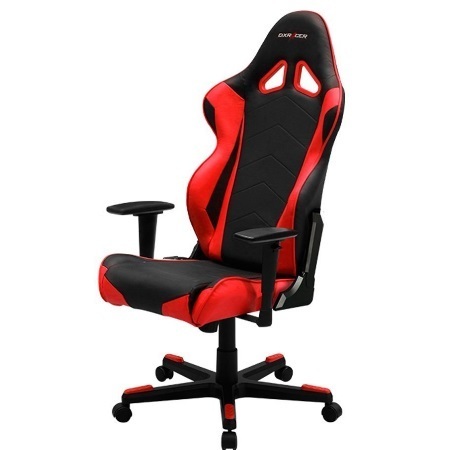 It will last you the longest and is surely the best chair for computer gaming. The X Rocker 51396 Pro Series Pedestal 2.1 Video Game Chair is one of the most fun gaming chairs out there. It may not be the best gaming chair for your posture or for computer gaming, but if you are trying to have a blast in your living room in front of the TV, the X Rocker is your guy. It comes with two speakers and a hefty subwoofer. The speakers are connected by Audio Force Modulation technology which just make everything sound so crisp. The chair comes on a swivel accessible pedestal that raises the chair up just enough for the rocker to be well suited for adults as well. It is a leather rocker with gunstock armrests that provide an excellent level of overall comfort and support. The X Rocker gaming chair will cost you about 200 dollars. 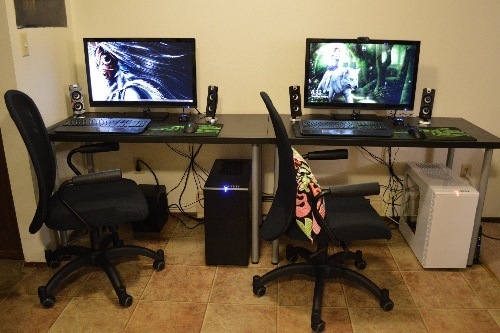 You can connect multiple chairs together as well, and have them sync up for an awesome gaming experience. It’s a pretty cool chair, well suited for those only game on console. It’s probably the best console gaming chair. It comes in the best possible shape for an L rocker to maximally support your spine. It has a very sturdy frame so it’s going to be able to handle long periods of extended use. So I didn’t include this chair in the count, because technically it’s above 200 dollars. The DXRacer will cost you about 240 dollars. It’s 40$ above budget, but it’s the cheapest chair produced by DXRacer which is the best in the business when it comes to gaming chairs. DXRacer as a company started in 2003 and they have been at the forefront of the game ever since. 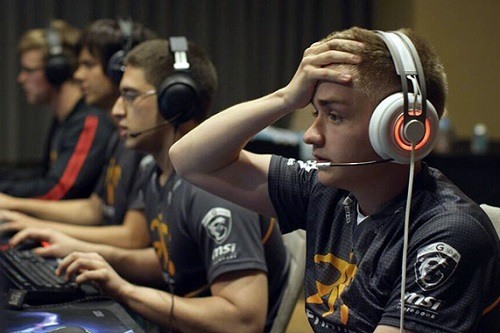 You will find them in several e-sports competitions and tournaments. They are sponsors for many video game events, and will be found in the homes of several professionals. DXRacer even offers a shopping guide that allows you to choose the perfect chair for you based off of your height and weight. No one puts as much thought into their gaming chairs as DXRacer. That’s why this chair was included despite its price. It comes with a tough Nylon base and strong metal frame. It can be adjusted for height and can rock back some. It comes with your standard headrest pillows and lumbar support, but sets itself aside with DXRacer’s patented breathable fabric that keeps the chair feeling fresh for hours. If you decided you want a top tier gaming chair for the cheapest possible price, you would have to go with this DXRacer. 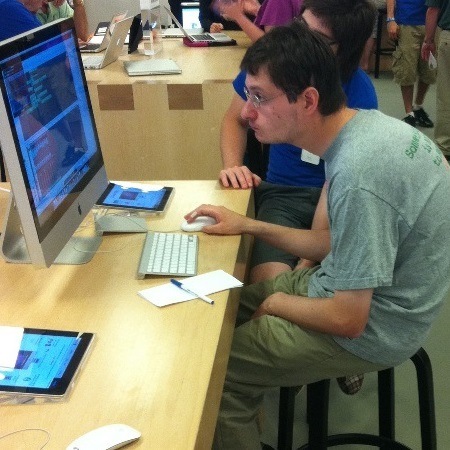 A gaming chair can make or break your posture. It can also make or break your score in almost any game. Keeping good posture is good for you all around. Your mind will be more focused and alert, and this will help you perform better during your gaming sessions. If you’re someone who spends his or her gaming session on the couch or a low back chair, you aren’t doing yourself any favors. A good gaming chair will help you a long way. It won’t happen overnight, but eventually you will find yourself sitting and standing with a straighter back. Sure, most gaming chairs will cost you a few hundred dollars, but that doesn’t mean there is no gaming chair out there in your price range. If you are shopping for a chair for a child go look at the Cohesion gaming chair or the Ace Bayou Mesh bean bag chair. They’re both under 50 dollars and fun for kids. If you are an adult I recommend purchasing an executive style gaming chair. This is what most professionals use as the high back and lumbar/neck support are most of what you need. 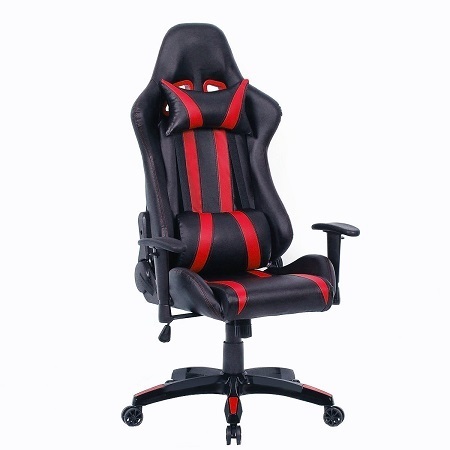 If you want the cheapest possible chair of this sort then you should go with the Giantex High Back Racing Style Gaming Chair. If you want the cheapest possible chair with the minimum lumbar and neck support that is standard across gaming chairs then go with the Merax Fantasy series. 150 dollars is around the cheapest you will be able to pay for a good enough gaming chair that comes with lumbar and head support. 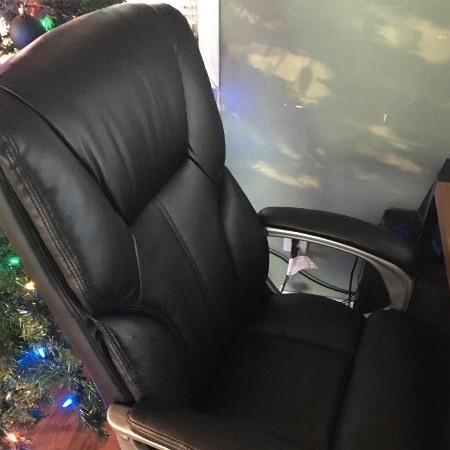 If you don’t relish in 8 hour long sessions but still want a good gaming chair you can skimp out on the lumbar support and buy the Best Choice, AmazonBasics, or even the X Rocker Executive. The Kinsal is near the edge of the budget, but it provides the best value of quality per dollar. So if you are interested in the best value fo with the Kinsal. The only other caveat is that if you are not a big pc gamer and want something fun for you console gaming then consider the X Rocker 51396. Needles to say, there’s a chair for everyone. Whether you play a little bit or a lot, there’s a chair that will make improvements in your life.